Having all your preps in one place is not always the wisest idea. Some people may have no choice but if you can have a stash point then consider it. Also, remember that during a SHTF emergency you may want to create stash points. Stash points help you spread out supplies. Even if your home or bug out location is raided, if you have items stashed in other places at least you won’t have lost everything. A well-planned stash point system can make the difference between surviving or not or at least make it a lot less hard. 7 Resisting rust, corrosion, and moisture is very important! 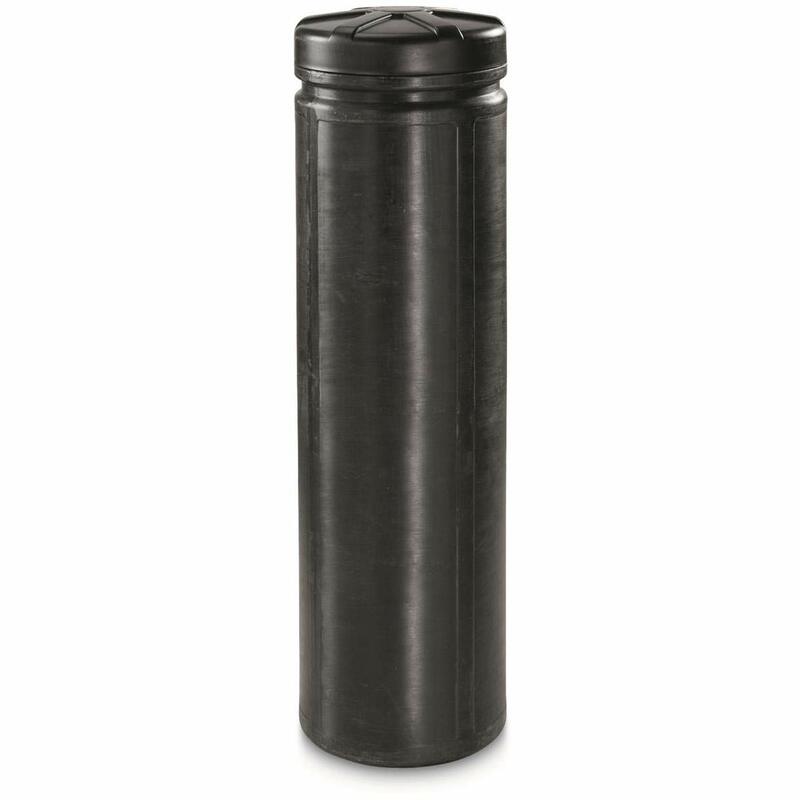 4-6″ PVC pipe, end caps, and screw in clean out plumbing caps can be used to create waterproof and impact resistant stash containers. You can even paint them to blend in with the landscape of your area more readily. I would still put items in a plastic bag and then put them in the tube just to be safe. 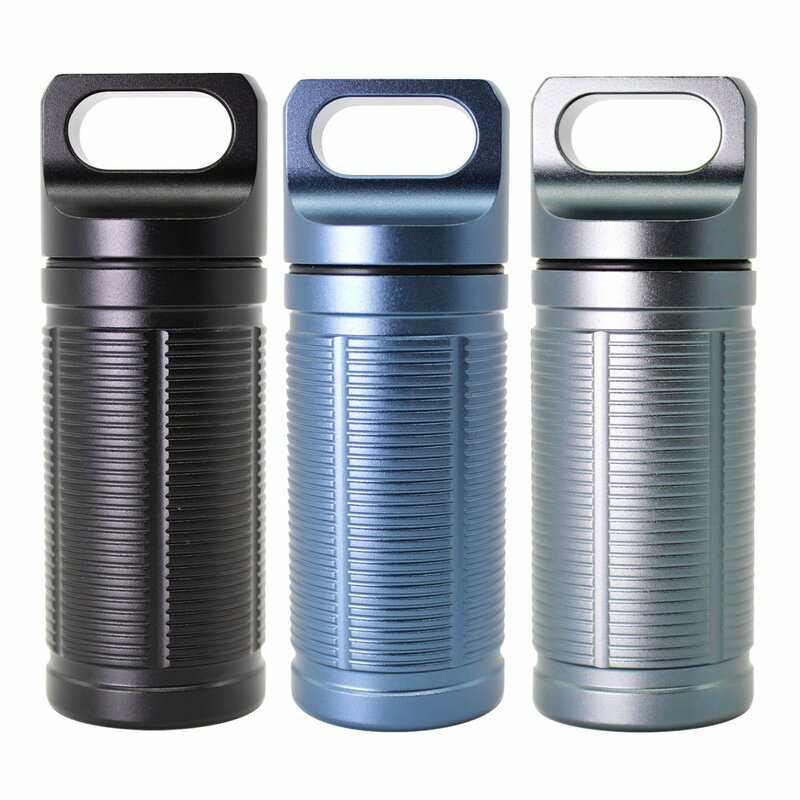 These stash cans are very inexpensive to make compared to the premade containers, and if you don’t want anyone to know you are buying stash cans, this is a good container to consider because no one is going to look at you odd for buying plumbing parts that are the part of practically any house. Just using end caps will work but the problem is that they are usually glued on and that means sawing into a cache to get to the goods. That is not something I am too keen to do. The solution is to glue one end with an end cap and then use a screwed in cleanout cap. It is a good idea to use thread seal tape or pipe joint compound to ensure a tight seal. It is still a good idea to put items in a bag for further moisture protection. Some people can take a look at an area and tell you a lot about it. This means for a stash point to be worthwhile you need to take the time to really conceal it. Don’t make the cover look too perfect, it really needs to blend in, but you need to make sure that there are no obvious signs that you have been messing around. Cover your tracks and don’t leave any prints with your hands. Double check that you don’t drop anything too. It doesn’t take much to give you away. 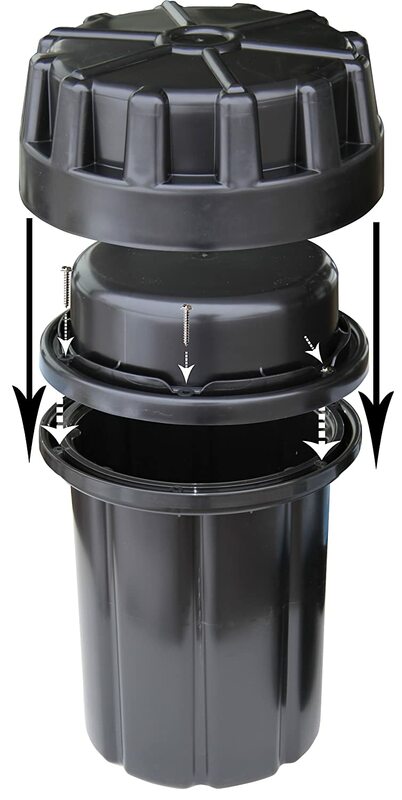 Buckets with lids that seal like those at your local bakery can work for some stash points. I do have to say that the life of plastic can vary, but it should last for a few years or more as long as nothing happens to break it. It really just depends on how tough the bucket is and environmental factors. Some plastics hold up better under harsh conditions than others. I would not use buckets for very valuable caches or for very long term stashing but they should not be ignored as a short term solution. You can buy liners that can help them provide better protection. 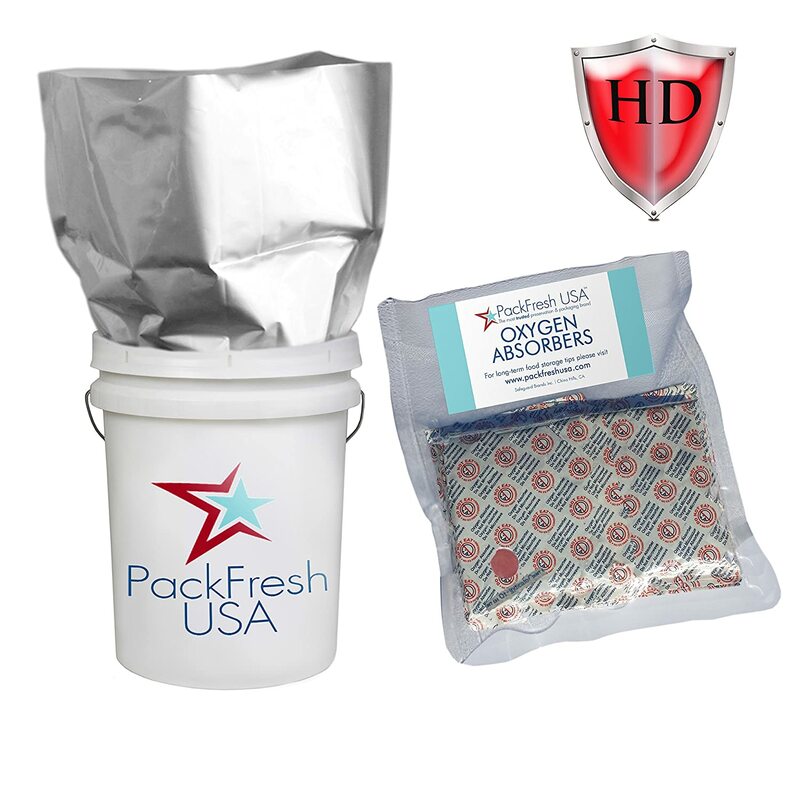 Check out these mylar bag liners for 5-gallon buckets! For something premade, these ammo cans are an affordable cache point container. I like that they come with a bag, but the way this is sealed really stands out. Place items in the bag and seal with a zip tie or similar, attach the lid with included screws and then add the second cap for exceptional protection from water, debris, and varmints. These are made in the USA, and I have seen them at survival and prepper stores for those that prefer to buy in person. Interior Dimensions: 12″ diameter, 45.38″h. While this is made for a rifle, you can use it to stash anything you want. If you desire a large stash point somewhere, this will hold a lot. Sure this tube is over $100, but the volume it holds makes it worth consideration. Of course, if you want to stash a rifle for the long term, this is a quality solution. The long length and large diameter mean you can stash even large rifles like RPKs. Resisting rust, corrosion, and moisture is very important! Below I have listed a few items that can help keep your stash free of corrosion and dry. If you plan on actually stashing a rifle or handgun, then packing it right is critical to protecting your investment. These bags help prevent rust and corrosion for up to 5 years. 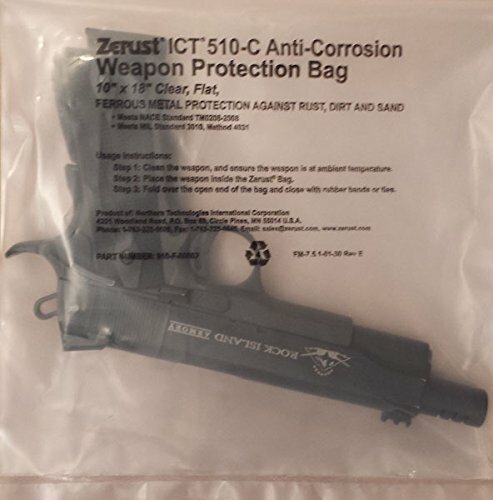 This is an alternative to packing a gun in cosmoline grease. While cosmoline works great and is used by the military, it takes a lot of work to clean off of guns so that they are usable. During a SHTF situation, cleaning a bunch of grease is going to be inconvenient for most people. 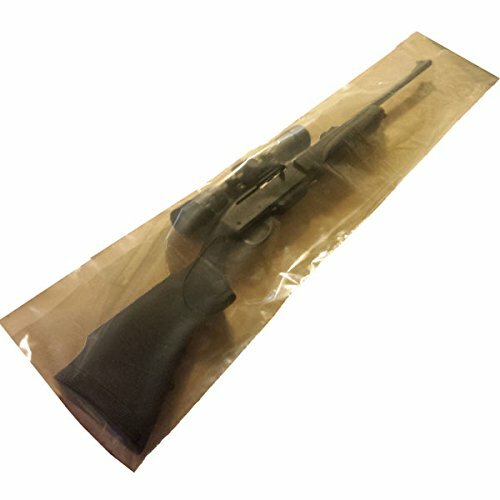 These bags are designed for small firearms and knives or multi-tools you are concerned will corrode if stashed for the long term. 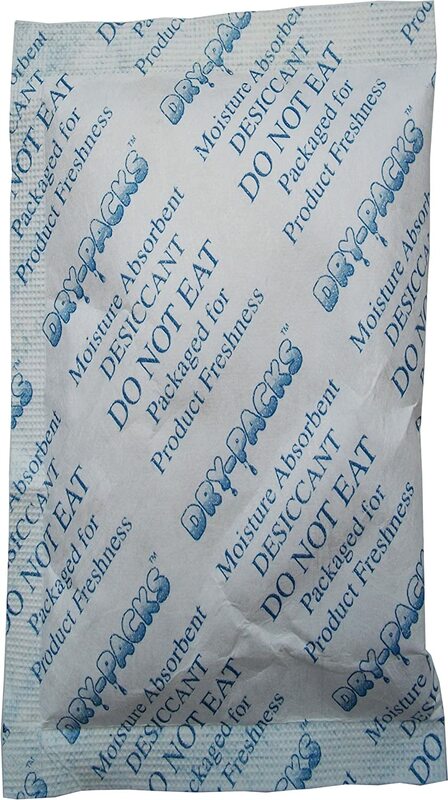 These 10-gram silica gel packs will protect up to 460 cubic inches of space from moisture. Throw one of these in medium to large stashes for good moisture protection. Smaller packs work well too and in some ways are more versatile because you can always add several for large stashes or use them in smaller containers where a big pack of silica gel may not fit. 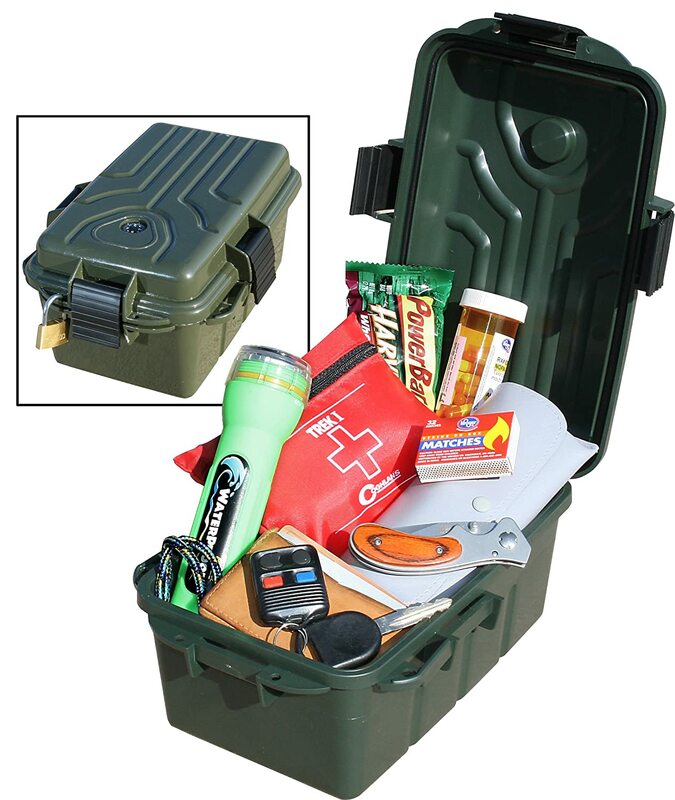 This survival stash box features rugged construction and an O ring seal to keep your items safe and dry. You can lock this box for added security. As you can see from the picture, this is a decent sized box that can be used to create a comprehensive stash point. Guns and other metal in a plastic container can show up on a metal detector too, but a metal container is definitely going to show up. This may not really matter to you, but it is a factor to be aware of. 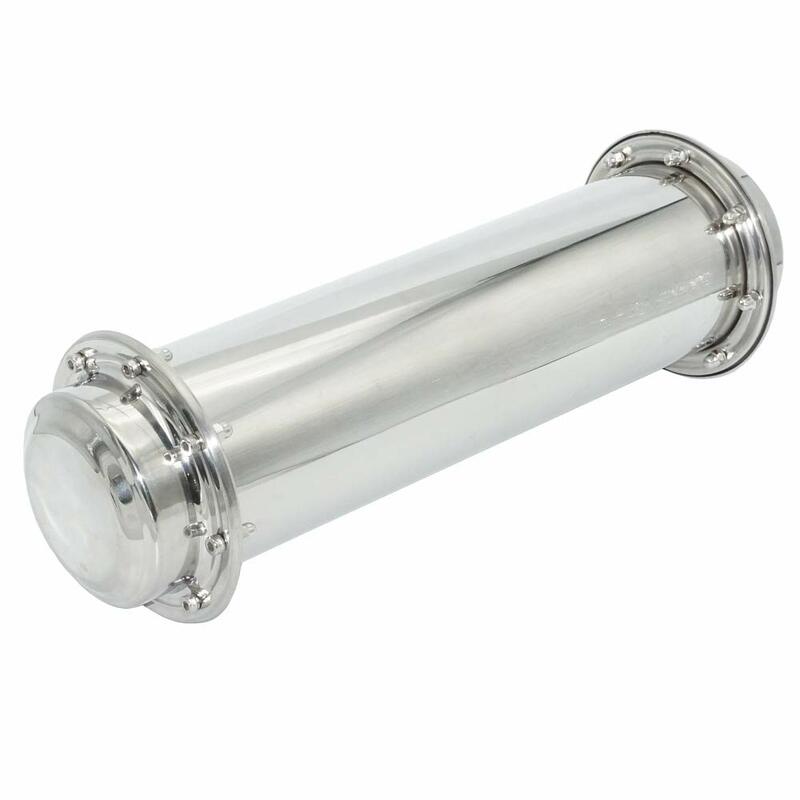 This is a very fancy stainless steel cylinder designed to be a time capsule. The tube above measures about 16 inches long and 4 inches in diameter. You can get this time capsule in smaller sizes for less money. For most stash points, this is a bit much since it is very hard to get into and it is designed to be buried and forgot about for many years. Sometimes you need something small and durable to hide and protect valuables. 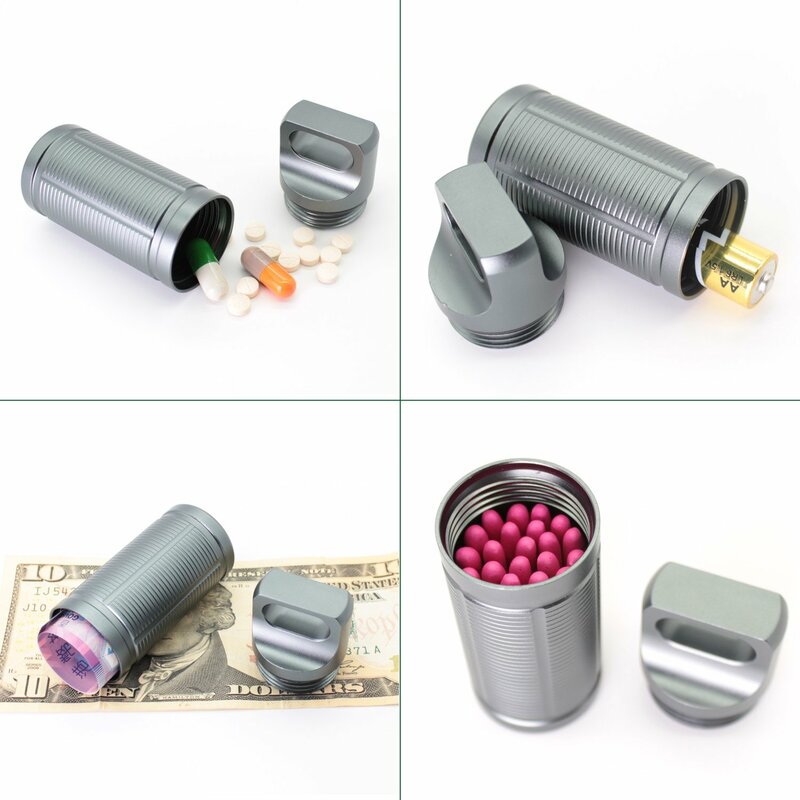 This 3 pack of aluminum stash containers with O ring seals is an option for putting back medications including antibiotics, storing matches, or stashing some cash just in case. Small valuables will also fit. If you have some silver coins or want to stash your wedding ring during hard times, this container would do the trick. As you can see these are quite small so you should be careful about where you hide them. The top makes it easy to attach a carabiner or quick link so you can hang it wherever you want. Some people have a harder time remembering where they put things than others. Ideally, you could remember where you stash things in your head, but if you can’t, there are other ways. GPS is great during good times, but SHTF may make it not realistic. A physical map is good, but if anyone finds it, then they can find your stuff and take it. In my area, bears are a real problem. Smells attract them, so any stash points in areas where there is a lot of varmints and wildlife need to be careful about location, items stashed, and how they are hidden. Burying can help, but it is advisable to put something over the spot so it cannot be easily dug up by wildlife. Another option is stashing things high up, but that can be very hard because lines are visible. If you can stash something high and out of reach then it can be a positive thing. In urban areas, a stash point could be in an inconspicuous spot on a roof for example. Even if apartments below are raided, the chances of anyone looking that close at the roof are slim. Stash point locations are dependent on your own unique circumstances. I can offer suggestions and try to get you started on a thought path to determine what makes sense for you, but ultimately you have to come to those conclusions on your own. I cannot just tell you where the perfect stash point is for you. Here are some locations to consider regardless. You have to be careful when choosing what point to create a stash point at. Remember that anything you stash is at risk of being discovered over time. You may want to move your hiding spots over the years. Times change and construction and destruction could make it necessary to rethink your stash points at any time. Be realistic about what you need and how many cache points are good for you. More than 2 along your route home is probably excessive unless you think you really may have to travel a long way. Intersections and busy areas are not the best places to stash items because your chances of being seen either stashing or retrieving are very good. Any area that puts you in a position where you could be easily ambushed is not idea either. Side roads are better places to look for stash points than main roads that may be used for occupying forces be they domestic or foreign. Main roads in and out of a city are often blocked or dangerous during hard times, especially if there are powers that want to keep people in their place. Stashes and caches can vary in size, but if you are going to hide them well, you need to think small. You can fit a lot of stuff in a 12 inch long 6 inch PVC pipe. Items that stay good for a long time are ideal for stashing, but that doesn’t mean they don’t have a best by date at all. Freeze dried or salty foods can last a long time. Expiration dates are a guideline, of course, there have been many people in war zones that ate supplies that were as much as a decade or even more past their best by date. Will it taste good? Probably not. Will it give you what you need to survive to see the next day? Probably. Of course, always use your best judgment. Eating the wrong thing during hard times can lead to an illness that makes you unable to do what you need to do to increase your chances of survival. Be careful about stash points at friends or family member homes. If they know where your stuff is, then you cannot know it will be there when you need no matter how much you trust them. When people get desperate, they do things they normally never would even consider. If you do decide to stash items near the homes of friends or family, it may be best to do it without telling them. It is up to you to decide how much you want to trust someone. Even if you have one or two people that are involved with stashing back supplies, it is important to keep it that way. Too many people knowing where your caches are and what is in them is not a good thing. All it takes is one person slipping up or being persuaded to give up information to make all your hard work and investment worthless or even harmful to you and your family. Some people suggest having two caches in the same area. One cache that is a little easier to find may contain low-value items but items that are still valuable enough that someone is not going to consider the possibility of another stash in almost the same spot. A decoy stash point may have a little cash in it. A $20 bill and some cigarettes, an MRE, and a lighter could be useful to you if it remains hidden, but it is a relatively low value compared to a stash that has medical supplies, cash, a water filter, and more. This can also be helpful if someone is threatening violence if you don’t provide them with the location of some of your supplies. I won’t ask you where your cache points are, but if you have any tips for planning out where to put them or anything you may have learned over the years regarding stashing items, please share in the comments below. Also if you have any ideas for containers that are inexpensive and sturdy for creating caches, please share with us! 1. Put high value metal objects under an old tractor, scrap metal or car hulk. Iron rust from hulk will permeate the ground and help mask your stash from a metal detector. Those hulks also mark the spot. 2. Bury stash under raised garden bed. Maybe less obvious if soil is disturbed (if digging down in the right season or just looks like someone scrounging for scraps). Or access it by a loose board on the side of the bed. 3. Hide it in plain sight near real septic drain field. 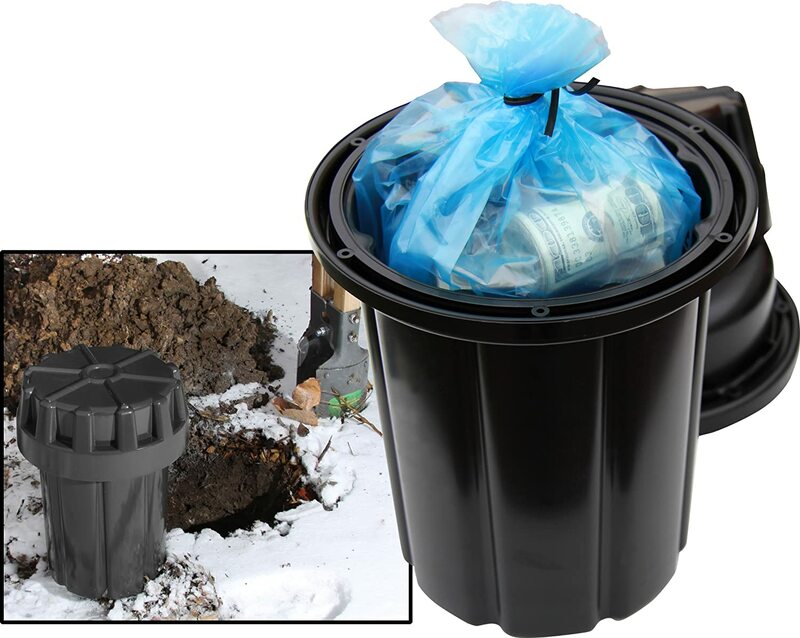 Use same type of blue septic pipe for container. Place it so it just seems like an (old/unused?) extension of normal septic system. Add old, broken extension in line with your container that sticks out of ground. The more it looks like obvious junk, even if prodded, the better. Great article. And Bob added some other good ideas. Keep them coming. Couple of comments. If planning on having a stash point in an abandoned area, make sure that area is along the route of your regular travels. Because abandoned areas can easily change hands where an empty abandoned lot or field may be a new mini mall in a year or two. So, make sure you can notice changes quick enough to retrieve the cache before it is buried in concrete or there is a building above it. Stashing at relatives or friends houses. That is a tricky area. Unless they are so trusted that you would give your life for them and they for you, I would advise against stashing there. Suppose you fall out of favor and after a year or two without contact you find out they sold the property. That stash is no longer legally yours. If you sneak onto the property to retrieve the stash and get caught, guess what? You have now broken a multitude of laws. On the other hand, burying the cashes in your raised garden beds is a good idea. You have several places (different raised beds) to have stash points. If things get bad and people break into your garden to steal veggies, they will have no idea you have caches buried a few inches below the surface. Hidden in plain sight. And those items will be close at hand while on your property but not stored in the house. With raised garden beds you can piece out information on their locations to friends and family. Because usually we have several to multiple raised beds. You could tell friend #1 that there is a stash in the 3rd bed from the garden entrance straight east and on the north end of the bed. Family member #2 that there is a stash in the furthest raised bed in the southeast end of the garden at the south end. Sure they might suspect there might be more stashes but remember in a SHTF situation, people aren’t going to have excess energy to go digging anywhere and everywhere. So, even if they do dig around and find other stashes, that is OK since they are trusted friends and family.